It wouldn't be Father's Day without a few cleverly designed box sets released perfectly in tune with sons, daughters and spouses looking for the perfect gift. HBO, Warner Bros., PBS, Universal, and more have timed a few of their more impressive recent releases for May and June release dates with Dad's Day firmly in mind. We thought we'd highlight a few with links embedded in the titles to pick them up yourself. HBO not only rules television when it comes to programming but really serves as the standard bearer when it comes to Blu-ray box sets of your favorite shows. Recently, they compiled all of the recently-ended "Boardwalk Empire" into one gorgeous box set, and, in a more controversial move, gave "The Wire" an HD polish that some fans thought was long overdue. 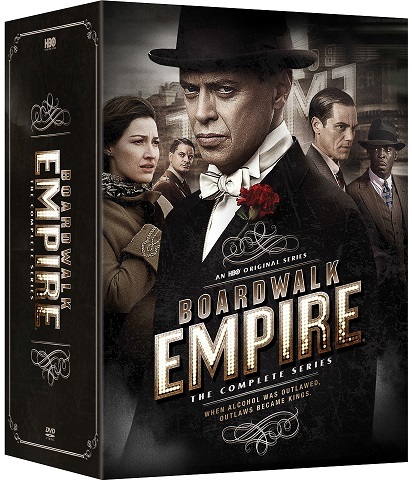 "Boardwalk Empire: The Complete Series" and "The Wire: The Complete Series" may be the most expensive options for dad this Father's Day but they're essential collections for fans of modern television. "The Wire" is widely recognized as one of the most important programs of the current century, but the show was originally shot in full-frame, 4:3 format. Gasp. How dare they? As we all know, modern audiences have become attuned to 16:9 widescreen pictures with their HD transfers, and so HBO controversially went to the creator of "The Wire," David Simon, and told him he had two choices: 1.) Help them reformat the program for an HD widescreen picture. 2.) They'd do it without him. Purists screamed as if "Citizen Kane" was being colorized, and their righteous anger has some validity. Simon himself has said that the opening of the picture in "The Wire" has diminished some of his dramatic purpose in certain scenes, but has also granted that the larger scope has improved a few moments. The more disturbing aspect of the release is that the widescreen version is now all that will be available--in this set, on HBO Go, HBO rebroadcasts, etc. That doesn't seem right. It wouldn't be hard to offer both versions to fans (in fact, another TV set in this feature does just that). Watching "The Wire" in HD widescreen is a unique experience. There are times when it feels like a different show, and the picture quality is undeniably fantastic. I just feel a little dirty liking it. Of course, that's not true of the show itself, which is still somewhat unparalleled in terms of ambition. "The Wire" attempts to capture the modern American city from its establishments--police, criminals, schools, politicians, journalists, workers. Taken season by season, it's an impressive drama with great performances. Taken as a whole experience, it's something even more remarkable. And now you can finally own it all on Blu-ray. You can also own the entirety of the just-closed, five-season run of "Boardwalk Empire," a show that once seemed like the heir apparent to "The Sopranos" in the pantheon of HBO programming but lost that buzz after about season two. It's a shame because "Boardwalk" was never less than good and often great, especially in its supporting turns from actors like Jack Huston, Jeffrey Wright and Bobby Cannavale. There was also a remarkable attention to detail in "Boardwalk" that is both rare even in this golden age of television and something that makes the program a gorgeous one on Blu-ray. "Boardwalk" defied expectations, especially after season two, and so some viewers jumped ship. If you were one, I encourage you to go back and experience the entire show from beginning to end, complete with insightful special features into how difficult it is to make a show this precise with its attention to detail. Modern TV isn't dad's thing? He likes the classics? What about the cult classics? Last month, Universal released a gorgeous box set for "Battlestar Galactica: The Definitive Collection". Sorry, SyFy fans, it's not the new "BSG" with Tricia Helfer and Jamie Bamber. It's really everything that came before. It includes both the '78-'79 series that starred Lorne Green and the sequel, "Galactica 1980," which only ran for 10 episodes. There's also the extended version of the pilot, which was released theatrically in a lot of markets. What's more is that the episodes of both series have been included in both full frame and HD remastered widescreen versions. See, HBO, this is how you do it. 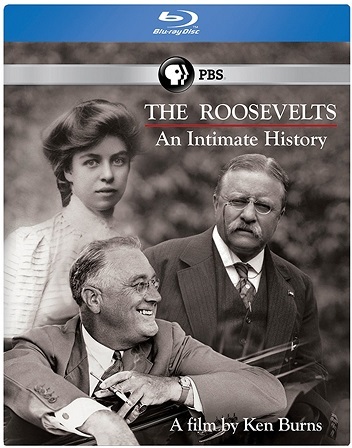 "The Roosevelts: An Intimate History" actually came out last September on Blu-ray but it's worth mentioning again. Ken Burns is as important to non-fiction television as anyone in the history of the form and "The Roosevelts" is one of his most notable accomplishments. It's a massive, expensive set, but it may be something that you wouldn't otherwise consider for dad this Father's Day, and you should. Maybe dad's not into TV. Is he a little predictable in his movie preferences? Universal and Warner Bros. are counting on it. Every year, these two companies release a box set or two that's so blatantly designed to appeal to shoppers on Father's Day that it's nearly a reminder that the holiday is forthcoming when you see Clint Eastwood and John Wayne Blu-ray sets at your local Best Buy. This year's offerings are both pretty solid: "John Wayne: Westerns Film Collection" and "Clint Eastwood: The Universal Pictures 7-Movie Collection". The Wayne set includes two Westerns that have never been on Blu-ray before: "The Train Robbers" and "Cahill, U.S. Marshal". Both are late-era Wayne (1973) and neither are really representative of Wayne's career. However, the other three are pretty essential to the Wayne legend: "Fort Apache," "The Searchers" and "Rio Bravo". If dad doesn't own any of those yet, this is a great way to start a collection. Just think of the other two as bonus material. As for the Eastwood set, it includes 7 films not a part of the massive Eastwood WB set from 2013 (which includes 20 films and really is a must-own, spanning Clint's entire career) because they were made by Universal. They are neatly divided into two sections: Westerns ("Two Mules for Sister Sara," "Joe Kidd" and "High Plains Drifter") and Thrillers ("Coogan's Bluff," "The Beguiled," "Play Misty For Me" and "The Eiger Sanction"). "Misty" is my favorite film of the seven but "Drifter" is a fascinatingly dark entry in the Eastwood legacy as well. All seven films are at least intriguing, especially when considered as a part of the greater legend of Clint. It's not as essential a box set as the WB one but it's definitely worth getting for fans of the legend.